Because sometimes painting stripes makes you happy. Well let's be honest, it's the moment when you peal back that tape to see the clean cut lines that make you the happiest. 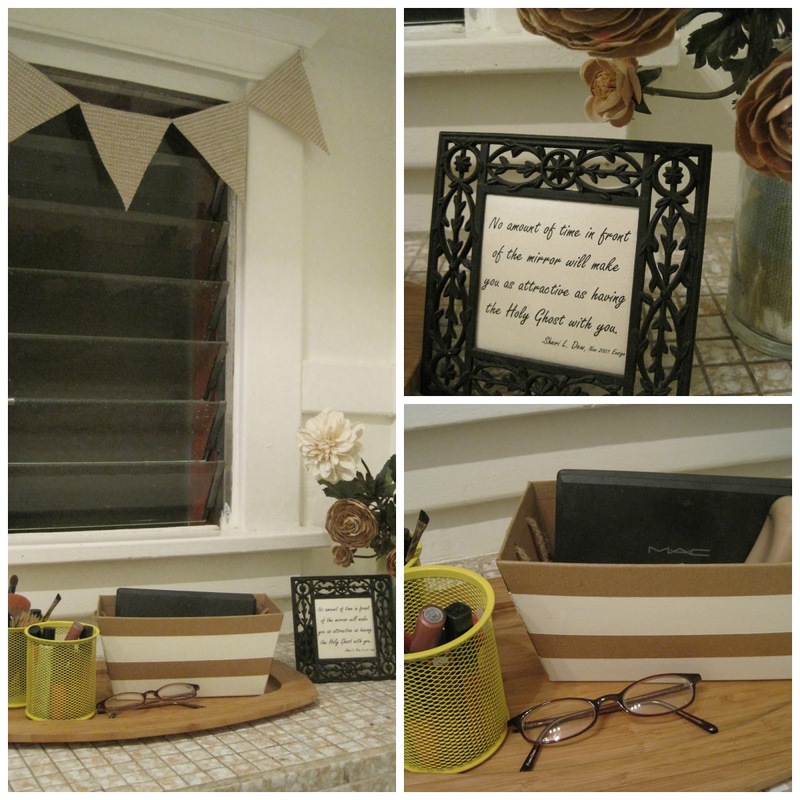 So if you haven't used frog tape. YOU. MUST. Joy, seriously, pure joy! Worth every penny. I finally painted my makeup box and the bathroom is complete. It only took me a year, but hey, I did it! So with no further ado: our bathroom. I'm not sure what I'll do when pendant banners go out of style. I'm kinda in love with them . . . and ruffles. When everyone has moved on in 20 years (or maybe everyone has moved on and I don't even know!) I'll probably still be sportin' mine like it was shag carpet. Eh, makes me happy. Okay normally I'm opposed to pedestal sinks because of the lack of storage space. But check out those drawers AND cabinet space AND large mirror that opens up to shelving. Can I say spoiled?! I can even fit a whole Costco size package of toilet paper in there not to mention all my cosmetology supplies! Amazing, right? If we ever build our own home something to keep in mind for sure! Say hello to my first-aid kit. Unfortunately I haven't found somewhere in the house that it can be tucked out of sight AND out of reach. I know it's an eye sore, but no sense in leaving a first-aid kit under the bed where your toddler is going to get in and OD on bubble gum flavored medicine (and mine probably would!). So there you have it. Our bano. Minus the floor rug that's in the wash. And the smelly diapers. Some things are better kept at a distance. You're welcome. I let my toddler watch a show and make messes while I got this activity ready today! One day I'll think of putting together activities ahead of time...maybe! We subscribe to The Friend magazine. We modified the activity on this page a bit. I "laminated" (with packaging tape) the pictures of Christ and the corresponding quotes to some card-stock circles I punched out of scraps. I had my son hide in the other room as I hid them around the living room. As he found each one we looked at the picture and read the story on the back. Then he put it in his bag and got to go find another one. It was a fun way to make telling the story of Jesus Christ and His atonement, crucifixion, and resurrection a bit more interactive. After we "played" it once, I hid them again and Jeremy got to collect them and put them in his Easter basket instead of the bag. He really liked that. On the second go-around I had him tell me what was happening in the picture. I was surprised how quickly he already committed to memory many of the scenes and events we had just discussed. I look forward to being able to store this with our Easter decorations and use it in the future too. Maybe some years older kids can help hid them while the younger ones look for them. For now, we'll see if this activity will keep Jeremy's interest a few more days this week. I hope so! It was a fun little thing to make and do. Clara's first time in the hospital. Like really, really the first since she wasn't even born in one. Clara had been feverish all day (March 11th) only in the 99's. She woke at night around 10PM I went in to console and nurse her (she's usually sleeping through the night and doesn't wake at that hour). When I picked her up in her crib I could clearly see that her fontanel (soft spot) was a bit swollen and bulging. I don't remember if it was my first thought, but I quickly thought of meningitis (I knew a woman who contracted it and also read about it in a book recently). 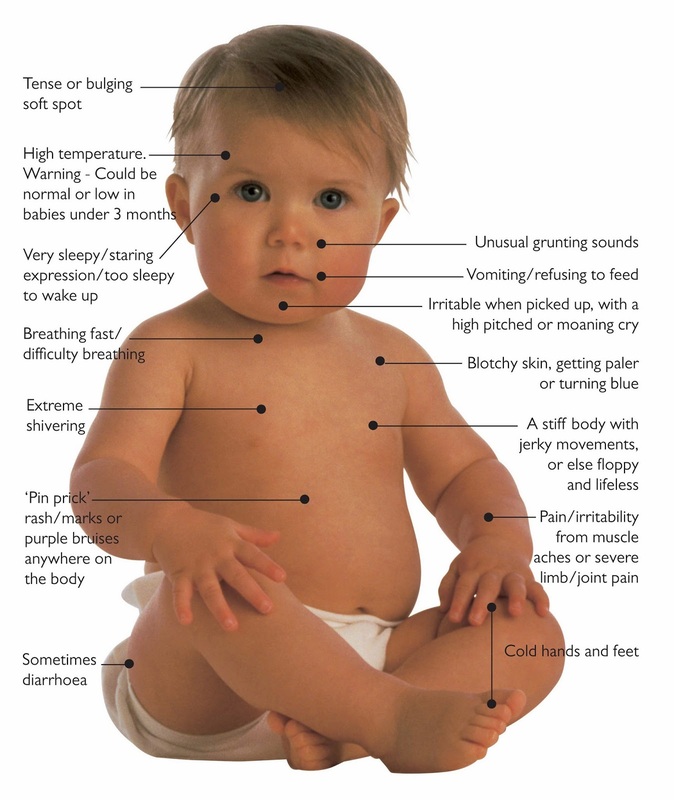 This picture points out the variety of symptoms that may or may not manifest themselves when a baby has meningitis. She almost always has cold hands and feet and had a little rash too, but my main concerns were the fever with the bulging fontanel. After not being able to reach the pediatrician/on call nurse and consulting with a friend' husband who works in the Emergency Department I decided to take her in. I would rather go and have them check her out than not have gone in when I should have. By the time we got to the Emergency Department her fever was up to 103. Instead of a detailed play-by-play here's some thoughts from the whole ordeal. Anna's husband was able to advise us to go in and Anna was so supportive and willing to come be with us. 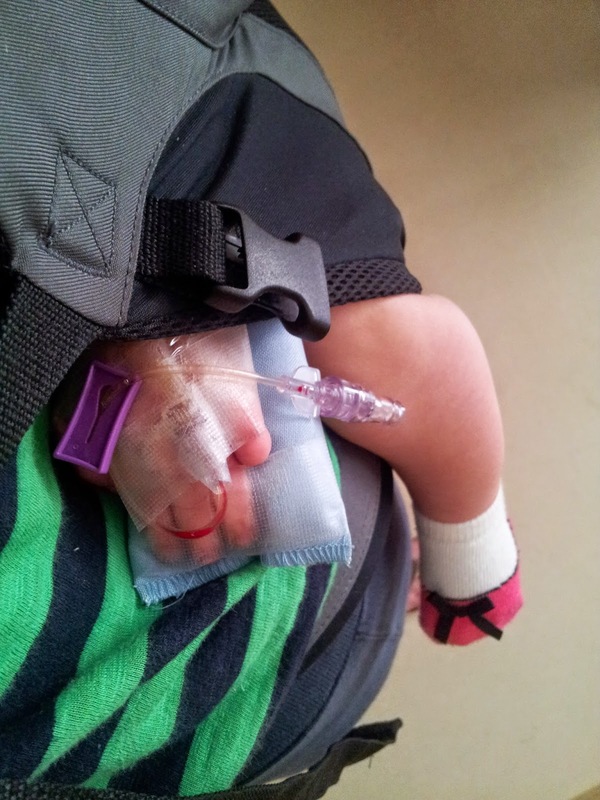 We bypassed the long wait time and were emitted to the Emergency Department quite quickly. We we moved through their system relatively quickly and got lots of test done mostly before 2 am. Clara was pretty good about getting her blood drawn and IV put in. Her CT scan was normal. They decided to not do a spinal tap until they monitored her more --she never had to have one. Since they hadn't diagnosed her with anything we got a room to ourselves when we were admitted to the children's hospital. By morning she was mostly her normal self just had a fever but no more swollen head. We had an alright nurse at night and an awesome nurse during the day. Trevor was able to be excused from work and be with Jeremy all day Thursday. Trevor came to the rescue with food for Clara and me. Clara was able to eat half the lunch plate they brought for me because it was mushy peas and carrots and mushy turkey. A dear friend came to the rescue with a home-cooked meal and comforting conversation. Another friend brought dinner for Trevor at home. Yet another friend took Jeremy half the day on Friday. There was a child life specialist who brought some toys and music I could use to entertain Clara, since hospital rooms aren't generally the most baby-friendly. We bypassed the long wait time and were emitted to the Emergency Department quite quickly, jumping to the front of the line in the ED isn't the kind of fastpass that means good things! Clara fell asleep just before they came in to do the CT scan. Clara fell asleep just as they were moving us from the Emergency Department to the hospital room. Clara fell asleep just as the doctors were making their rounds in the morning. Clara fell asleep just as they delivered food. Clara startled awake as I bit in to a sandwich. Clara and I got about 4 hours of sleep within a 20 hour period because of all the interruptions. Just as I finally got a fussy, overtired Clara to bed at 6:30 PM a man came in to empty the garbage! I wanted to yell and cry. I did neither. 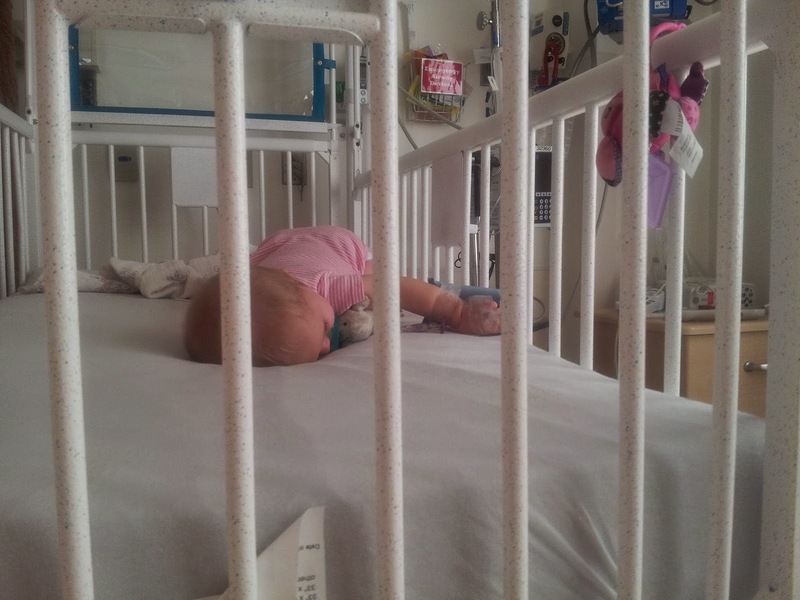 Every time she would get startled in her crib she would sit up or fall over and then end up bonking her head on the metal rails, with no hope of her being able to get herself back to sleep. The hospital wouldn't give Clara food other than a jar of gerber pears (which she won't really eat because she eats solid solids like an actual pear) and the hospital refused to bring me more peas and carrots when I requested them. So frustrating to not be able to get food from the hospital for my baby! Even though Clara appeared to be recovering the doctor seemed convinced we needed to wait another (almost sleepless) night to be discharged in spite of my mother's instinct and answer to my prayers that at this point all she needed was rest. The victorious moment of getting her to sleep . . . moments before she wakes up again! I don't know why her head was ever bulging, but I said a lot of prayers and Trevor and another friend of ours came to give her a blessing of healing. And that she did. 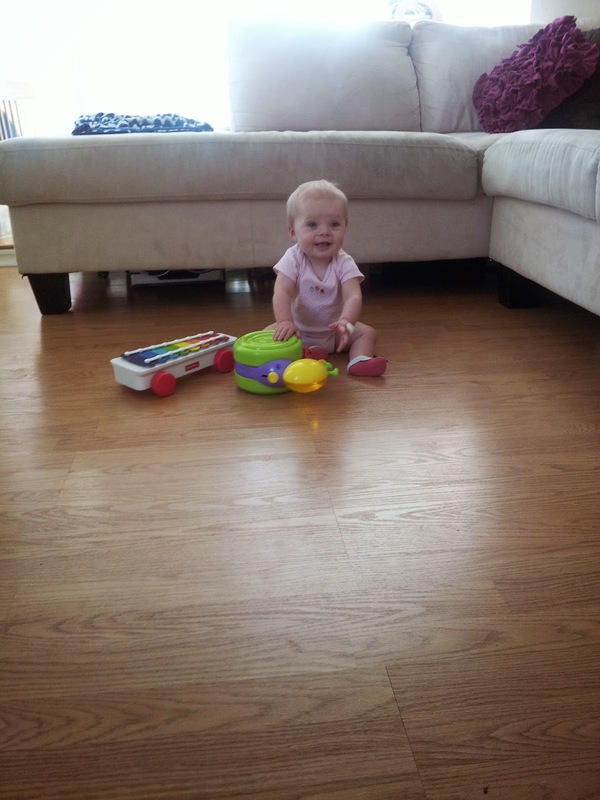 She recovered quickly and seemed to suffer only from a couple days of fever which ended in the anticipated rash. Our happy Clara home again! All and all it everything turned out fine. And I am so grateful for the love and support from so many friends and family members. I would be lying if I didn't include the parts of the story I felt were bad and though not too bad compared to what it could have been if she had actually been seriously ill or compared to friends of mine who have babies with severe health problems (my heart goes out to them in a whole new way because of our short stay in the hospital), it doesn't change the fact that it was stressful and completely exhausting. We are so happy a feel so blessed to all be home with a healthy Clara. I don't care if my child ends up being a straight A student (it'd be nice, but it doesn't really matter). I don't care if he knows how to read before he gets to first grade. I don't care if he even knows all of his colors. All of that will come and will be what it is. Playing and building character is exhausting. I'm exhausted. That's all there is to it. When you are working to create a life of exploration through play, and art, and books it's exhausting. But what might be really getting to me is staying strong to always follow through with the consequences I've outlined. It's simply exhausting. I know, I know, joy in the journey. I find that a lot of the time. I smile at my cute naked kids in the tub playing and splashing together. And I grin check to check as I can induce laughter from tickles. And I'm tickled by the cute things a toddler can say. "Tell my why you're upset"
"Are you mad because . . . ?" "Mommy doesn't respond to whining, how do you ask nicely?" "We don't [hit, throw that at, dump it on, feed that to, step on] sister"
"That was wrong, because you ignored what mommy asked"
"Uh, oh. Jeremy's not listening"
I am hoping all this will have its payback. That it will somehow yield a respectful and responsible child, who uses his manners, and can communicate his feelings in healthy ways, and is obedient to his parents. I am praying that each little moment of repetition, each moment of patience, each moment of consistency will somehow and in some way pay off. Please may this be like my piggy bank and with each moment I diligently deposit let there be a return in my investment. Yet I fear. I fear, Am I doing this the right way? Am I expecting too much? Too little? Have I been inconsistent? Is this one my fault because I kept him up too late/didn't feed him soon enough? Haven't been giving enough attention? So I pray. I pray in the morning. I pray in my heart. And I pray in the moment. Please, God, please help me know how to teach my children obedience. If they can learn to be obedient to their earthly parents, maybe, just maybe, they can learn to be obedient to Thee as well. If they can respect others then perhaps they can respect things grander than themselves . . . respect things of grandeur -- sacred things and noble things. Things of God and Country. So I pray a mother's prayer. I pray that teaching to not throw a cereal bowl and spoon or step on books is more, so much more, than just that. I never know if my friend Heather is more of a friend or a surrogate mother (she has kids about my age so it could go either way). 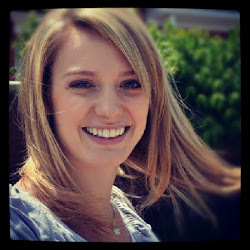 I feel like she looked out for me and helped me so much while we lived in Virginia. She held my hand and coached me through my first endeavors of canning without the help of my own mother and she taught me how to make the world's best pie crust (blessing my family's future with Thanksgiving pies and chicken pot pie for years to come!). She has so many other skills and attributes I hope to obtain! Love her. Bring mixture (excluding the corn starch and water) to boil and simmer for at least 15 minutes (longer if you want to cook off more of the liquid for a thicker salsa). 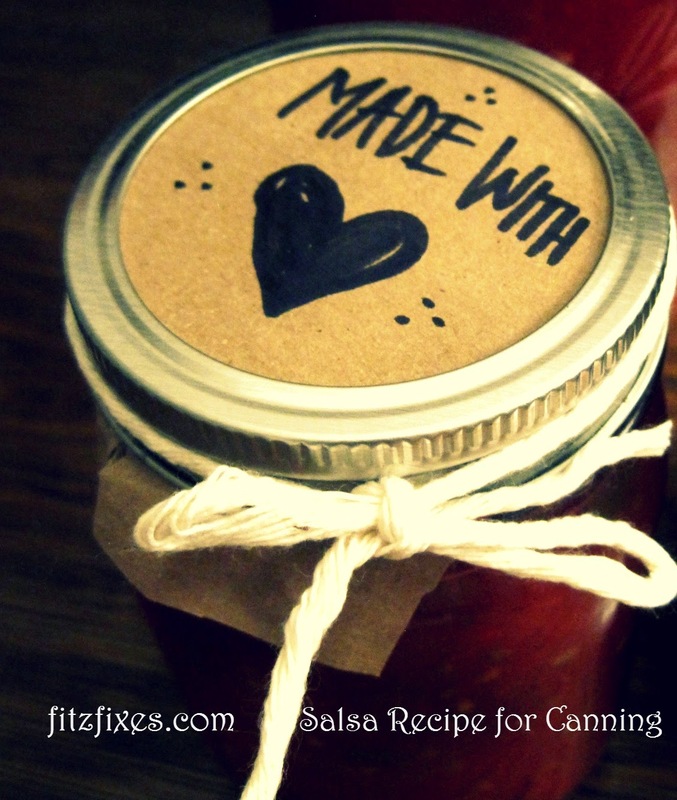 *The original recipe called for thickening with corn starch, but this source doesn't recommended it for canning. I did it and we haven't gotten sick so use at your own risk and research conclusion. You may also thicken with tomato paste. Thicken by mixing the corn starch in to the water and adding to the cooking salsa, simmer at least 10 min. 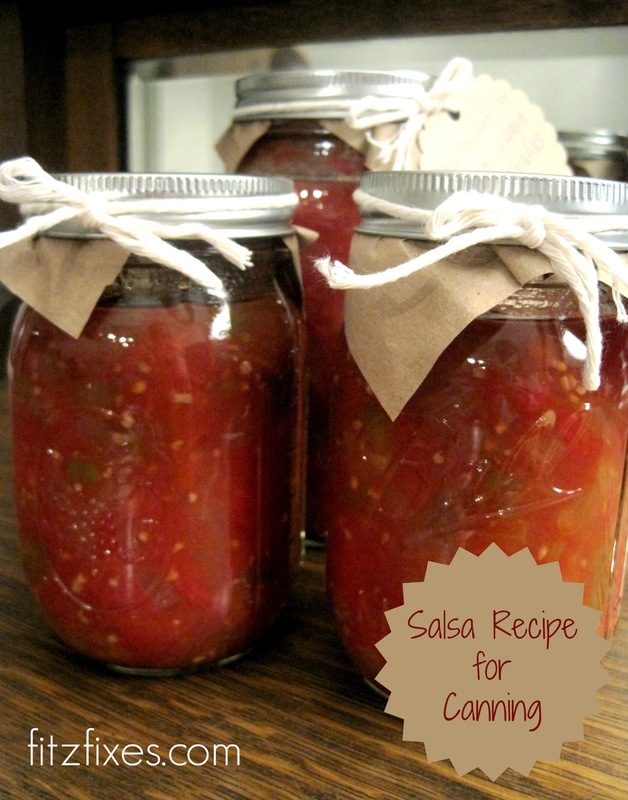 Put in canning jars and continue as usual following instructions for your particular canning equipment. Please check with your local extension office for any changes on times/temperatures/altitude. I've recently started running. It seriously has been years since I've been running. I think I ran a few times after my first son, Luke, was born, but I think that's it aside from some vigorous walks here and there during my other pregnancies. 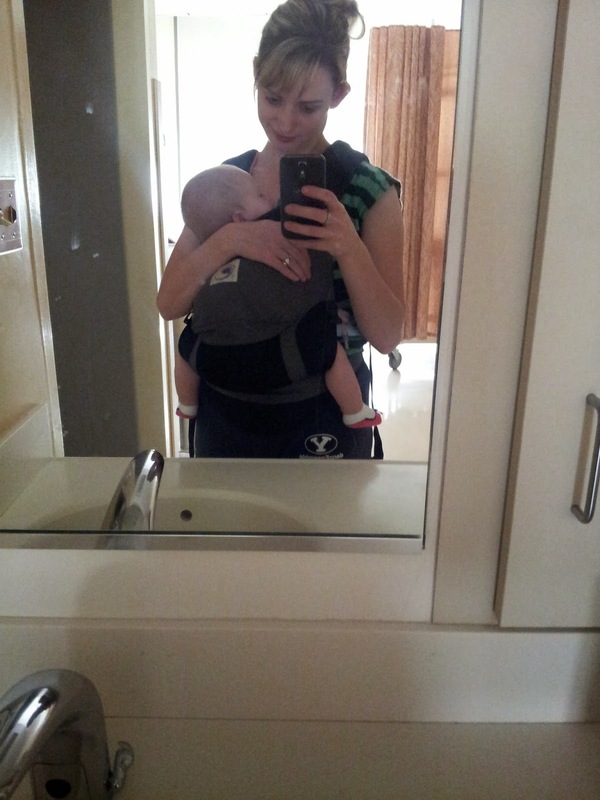 I was starting to feel a bit moody postpartum and decided I'd like to make regular physical movement a part of my life (movement other than just chasing a toddler around!). I had the realization or rather the hypothesis that my moods are largely connected to my physical activity. Growing up as a dancer I was exercising and moving probably close to twenty hours a week for a lot of my adolescent and young adult life. And I remember being "happy" most of the time then. Or at least I don't remember struggling with my moods as much then. (I haven't typed up my depression story yet, but hopefully we'll get there!) Anyway, the few times in the past year that I have done some sort of aerobic exercise, whether it's a small run or a dance class, I have noticed that I feel SO MUCH better and a lot more energized. So in effort to make it a regular thing I started simple. 11 minutes. That's all. I set my timer for 5 1/2 minutes and jogged away from my house toward the beach as far as I could go and when the timer went off, I turned around and jogged back. There was no expectation of distance or pace, but just a commitment to DO to MOVE to get my body GOING. And you know what? It felt so good! I was energized, I felt more alert that day, and I felt more on top of my game. A-M-A-Z-I-N-G! And with each day I noticed my endurance increasing and I was running just a bit further than the day before. I was pretty excited to keep going and excited to share my story about getting fit in just 11 minutes a day . . . but then my husband proposed I run a half marathon with him while he runs a full marathon. And somehow I agreed! Eeek!!! But if 11 minutes a day sounds like something you can handle, will you try it for me? Will you walk vigorously or take a slow jog every day or even every other day and report back to me? 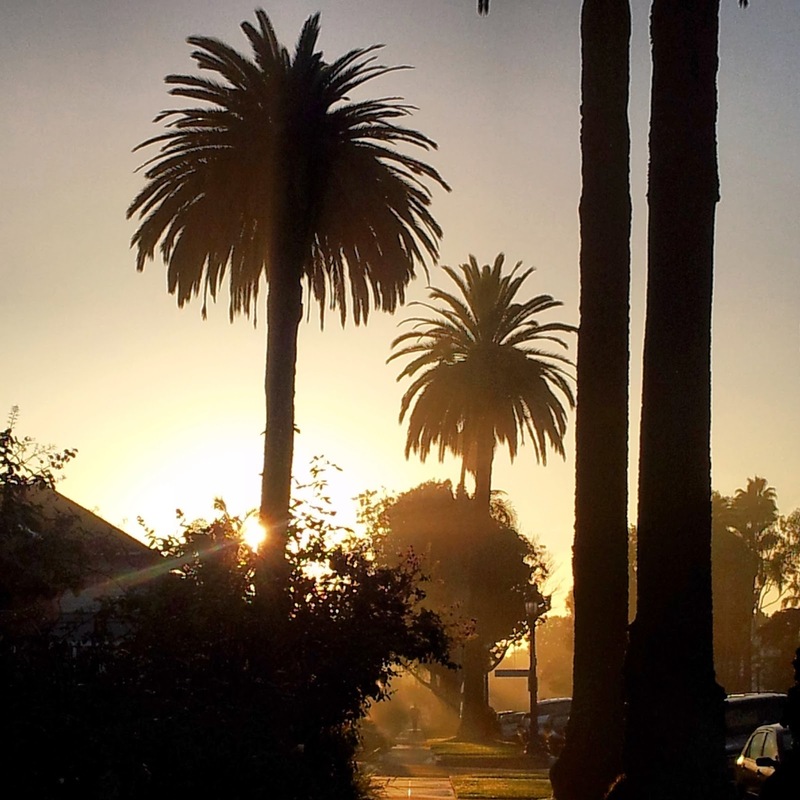 I live in a pretty unique city which initiated my decision to start of photo project called #housesoflongbeach to help me focus on the beauty instead of the not so good parts of our city. 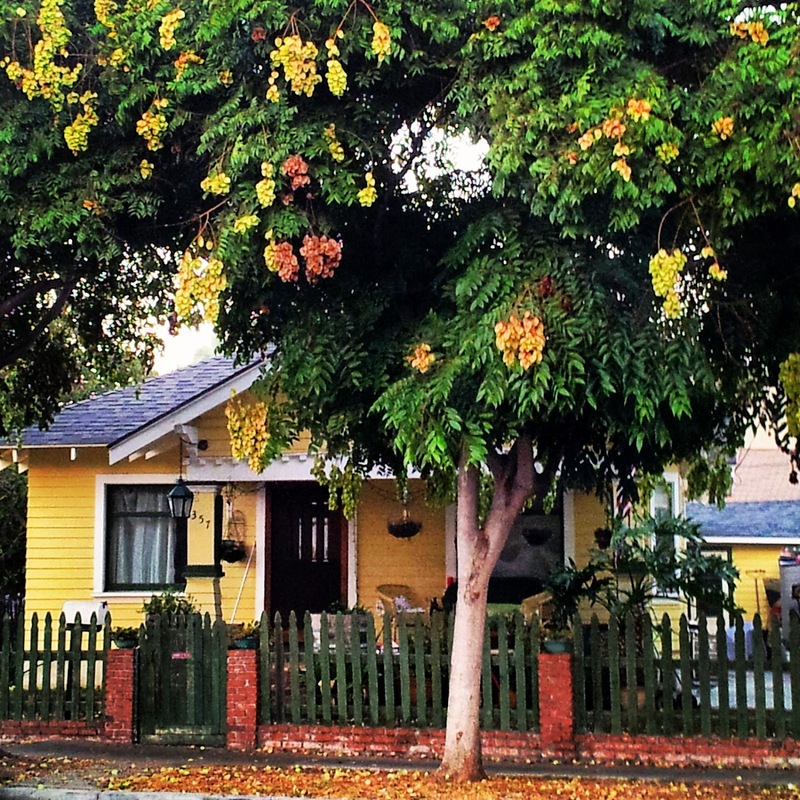 Each day during my run or my walk with the kids I take a picture (or two) of a lovely home that stands out to me for one reason or another. In the calmness of the morning I realized the one thing that often makes an ordinary house stunning is the early morning light that makes it simply glow. And then my thoughts turned to things more elevated than just my surroundings on my run. "I am the light of the world..." Christ says in John 8:12. Am I allowing the light of Christ to shine on me? To illuminate me and allow me to be more beautiful than I am without it? What can I do to allow His light to shine on me? "...he that followeth me shall not walk in darkness." Follow Him! That is what I need to do. What does following Christ look like in my own life? Christ was baptized under proper authority and so was I. That was following Him. But day-to-day what does it look like? How do I shine with Christ's light? Patience. As I am patient with my toddler, that is following Christ. As I study the Word of God, that is following Christ. As I show love to others my friends, my family, my neighbors, and even my enemies --the ones who have offended me, the ones who harm the unborn child, the ones who do terrible things. I must learn how to have love in my heart for them as well, that is following Christ. Forgiveness. Forgiving myself for my mistakes and forgiving others for theirs even if, no, especially if they are not sorry for what they have done. Following Christ is not always easy. He asks us to do hard things, but when we do them I know we can shine with a more pure beauty that is His light and His love and I know it can shine forth and others will see the difference. So join me. 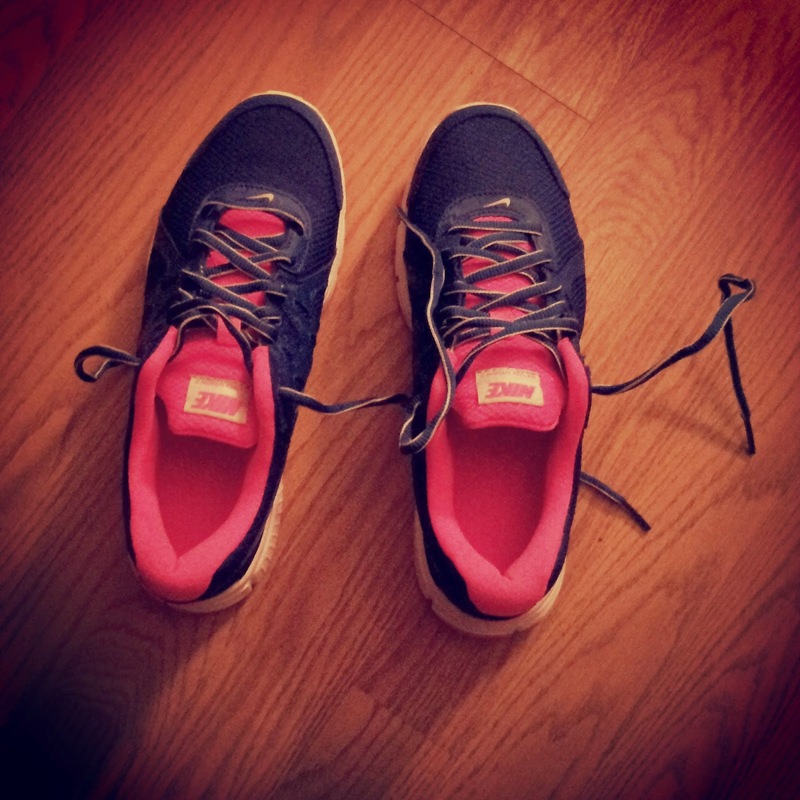 Join me in finding some way to be physically active to enliven your mind and your body. And join me in finding ways to emulate the light of Christ. Together we can find ways to feel our best, become our best, and see the best in the world around us. Oh my goodness! I mentioned yesterday when I was talking about our need for routine that today I was going to be implementing a schedule/structure to our day because I was going crazy and my toddler was causing trouble left and right! It's not even noon and I'm already in love! I don't think we've had any tantrums yet and we haven't destroyed anything/made unnecessary messes! Some days are just "off" days for kids and some aren't so maybe this is a good day. But we all woke up with colds and for a sick kid to not be particularly fussy is AMAZING. I think it is largely in part of pacing (the speed at which we're moving) and the plan. If I'm trying to get us ready and out the door Jeremy is doing a contained activity. 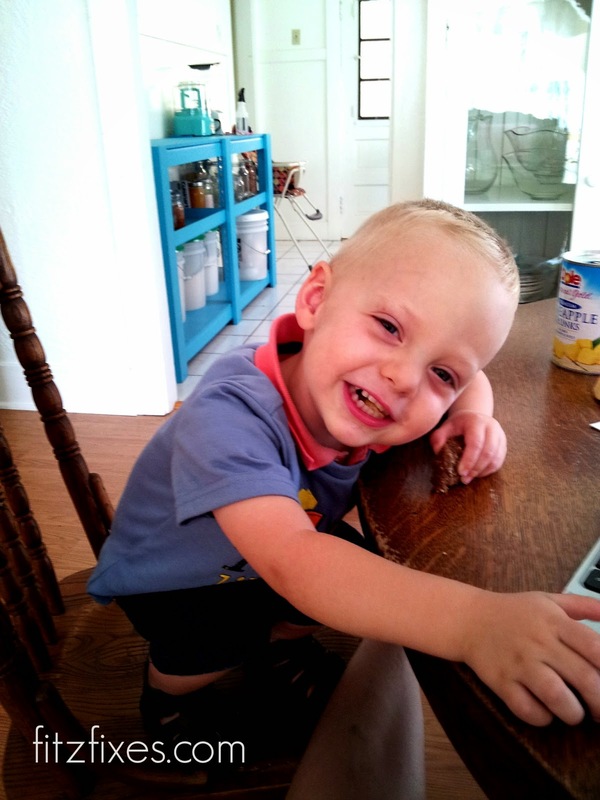 This morning it was a couple Mormon Message videos while he was strapped in his high chair. I'm not really a fan of TV for kids, but I rather have him watching a brief (3 min) movie with a moral than pulling pulling all of my shoes off the shoe wrack. Got us ready and out the door quick. It also made be quick about getting ready to get out the door. I feel like this takes forever! But since I know I had given myself 15 min and Jeremy was only going to watch a few of the little videos I had to think quick and be efficient. Yay for not spending ALL morning just getting myself and the kids ready to go. Being out the door and outside in the morning is a delight. We were able to chat with neighbors while they were gardening or walking kids to school. We also saw the construction in action. Our evening walks were taking us past all the construction stuff once it was just parked and everyone was done for the day. I got exercise and sunshine in and feel great! I've been wanting to make exercise a part of my day. Ideally I'd be dancing but I'll take walking/running/jogging as a second option. It really gave me more energy to get through my morning. Normally after a morning of being home trying to entertain Jeremy he was worn out and board and so was I. Not today. Say hello to getting healthy and good bye to extra pregnancy weight! So far I was able to off-set the kids perfectly. I was able to nurse Clara before Jeremy was up...well that got off a little this morning so dad helped with Jeremy before he had to leave for work. Then I was able to nurse her while we played in the backyard. She cried a little here and there when I had to sit her down to help Jeremy with things, but not the screaming in the other room "feed me!" or "sleep me!" while my hands are tied with Jeremy's urgent needs. Like I mentioned before I knew I needed someone to get Jeremy breakfast because I knew I needed to wake and nurse Clara so I could actually ask for that. I also was able to leave them to figure out breakfast problems because I knew I needed just 10 more minutes for my scripture study. And I got it! It felt so good to say, "I can't help you right now" because I was committed to sticking to what I needed to do for myself. I was happily able to do activities that would normally feel draining or go undone. We opted for an early nap because Jeremy has a cold. We opted for a morning snack instead of lunch. (The perfect thing for him to be strapped down doing while I swaddled Clara and put her down!) And I'm going to have to modify when to nurse next because she fell asleep 20 mins before the next potential nursing. Still figuring her timing out! I opted to not start Jeremy on his "independent playtime training" because he's sick and we're going to use the pack-n-play for it. He's a little old for play-pen time and really should have room time. But it'll just be part of the training at least until we can make his room more safe (there are shelves he could climb on that aren't the most stable). I also put it off because we're going to have to shuffle our sleeping arrangements Friday night and he'll be sleeping in the pack-n-play and I don't want him to get confused. Well the kids are asleep. I've taken time to write. I actually have energy and don't think I'll nap (not yet at least). So I'm gonna get the rest of our day ready and take some time for myself! Here's hoping it goes just as smoothly as the morning. I am grateful God hears my prayers. Answered me with the inspiration that our family needed routine and especially grateful He has given me the patience, energy, and desire to teach so I can improve, love, and grow our little family! In God I am given joy and in Christ I am given strength.